Featuring three rows of seats, the 2018 Toyota Sienna and Honda Odyssey are minivans that have family-friendly amenities. Both of these spacious models are available with eight seats and tri-zone automatic climate control. Equipped with a V6 gas engine and the Active Torque Vectoring All-Wheel Drive, the Sienna boasts class-leading capabilities. A 16.4-inch entertainment system with a split-screen menu is a notable high-tech feature in this Toyota minivan. Toyota’s engineers equipped the 2018 Sienna with a 3.5 L V6 engine that produces 296 peak horsepower. Operating on the Dual Variable Valve Timing with intelligence (DVVT-i) technology, this six-cylinder engine delivers a maximum of 263 lb-ft of torque. The Toyota Direct Ignition technology is integrated into the powertrain. The Honda Odyssey runs on a similar V6 engine that has a top output of 280 hp and just over 260 lb-ft of torque. Despite carrying the trademark i-VTEC label, this powertrain isn’t as powerful as the Sienna’s V6 engine. It’s not surprising that a front-wheel drive (FWD) is installed in these minivans. When fitted with the Active Torque Control AWD, the Sienna delivers class-leading handling. In fact, this is the only 2018 model in its class to offer an AWD on the North American auto marketplace. The eight-speed Electronically Controlled Automatic Transmission with intelligence (ECT-i) is paired with the Active Torque Control. The Odyssey offers a nine-speed or 10-speed automatic transmission system with paddle shifters. Every 2018 Sienna has an automatic climate control system with three zones. A digital control panel can be used by the rear passengers to customize the temperature and airflow settings. The Honda Odyssey base trim has a traditional automatic climate control system without multiple zones. However, a tri-zone automatic climate control system is installed in the EX and above editions. If you’d like to let some sunshine into the Sienna, just open the moon roof that has dual panels. Perforated front seats with multi-stage heating are also available in select trims of this Toyota minivan. Contrast stitching adds some timeless sophistication into the vehicle’s spacious cabin. Fabric and leatherette are some of the other upholstery options that are available for the vehicle’s seats. The third row has the Split and Stow technology that enables quick adjustments with a single motion. Some notable amenities inside the Odyssey include the HondaVac and Magic Seats. The entertainment system in the 2018 Toyota Sienna includes a 16.4-inch display that pops out from the overhead console. This high-resolution monitor has a split-screen interface that allows passengers to simultaneously watch different shows. Two 120-volt power outlets are part of the rear entertainment package, which is compatible with DVDs and Blu-ray media. In the Honda Odyssey, the rear passengers can flip down a 10.2-inch display that includes some built-in applications, such as Toon Goggles and EPIX. Both minivans support Apple CarPlay and Android Auto for seamless integration of smartphones. Featuring 10 speakers, the Sienna’s JBL sound system with Clari-Fi blasts better acoustics than the Odyssey’s genetic seven-speaker audio system. Only the Elite Odyssey edition has 11 speakers, which don’t carry any particular brand label. We have the 2018 Toyota Sienna LE, SE, Limited and other trims available for test drives. Visit our dealership to compare the Sienna minivan with the 2018 Honda Odyssey. 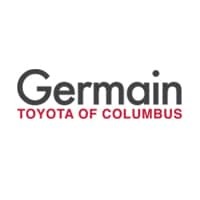 Germain Toyota of Columbus	39.9317458, -82.8399081.